Renovation and restoration of your GFRC entryway is a job you can trust to Stromberg. 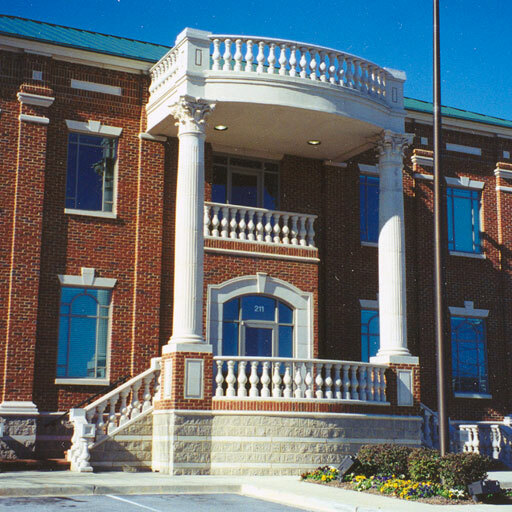 Their years of experience with glass fiber reinforced concrete (GFRC), and their ability to handle projects of any size or complexity make them an excellent choice. Whether your GFRC entryway leads into a church, a restaurant, government building, or your own private home, Stromberg knows how to utilize GFRC so that your renovation meets all of your expectations. Glass fiber reinforced concrete when used in an entryway has advantages over other materials because it won’t crack; it can also be made to resemble natural stone such as marble or limestone. Wood will eventually rot and metal will lose its sheen, so an entryway in GFRC is your best choice. When renovation or restoration of your building is necessary, GFRC has many benefits. It’s much lighter in weight than traditional concrete, which makes it easier to work with. Your final product in this medium will put less weight on your building and stand up better to the elements as well. Stromberg is the worldwide leader in GFRC and will use it to match your entryways original material exactly. The installation is fast and easy too. Stromberg has the equipment and expertise to duplicate historical or modern detail with GFRC. 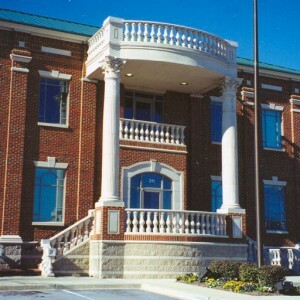 Terra cotta restoration with GFRC is one of their specialties. They have worked on some of our country’s most distinguished landmarks, including the White House, and will give your project their utmost attention. At Stromberg Architectural Products, they match the color and texture of your terra cotta glazes. They can also custom sculpt and recreate any missing pieces with the use of models created from drawing and molds produced from these models. The finished product will be identical to the original. GFRC is light, strong and durable. GFRC is fire and rust retardant. Glass fiber reinforced concrete is available in many colors, finishes and textures. GFRC is available in original custom designs. The professionals at Stromberg Architectural Products will partner with you and see your GFRC entryway renovation or restoration to completion. Stromberg is here to help with CAD details, design assistance and specifications. Contact them today at (903) 454-0904, or email them.